What Is Best In Life? To See Brand New Conan the Barbarian Art by Fantasy Mastermind Brom! 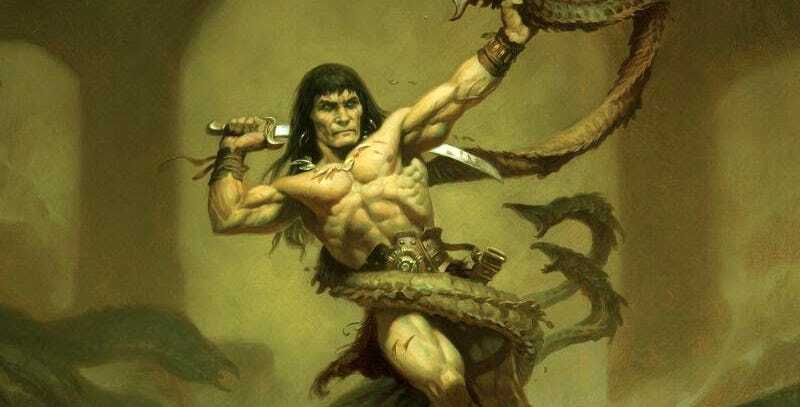 By Crom, it is good to see Conan the Barbarian as reimagined by the great fantasy artist Brom. ...all under the watchful eye of world-renowned Conan experts and scholars, working together to bring you the most authentic Conan roleplaying experience yet, focusing exclusively on Robert E. Howard’s original stories. Featuring Modiphius’ 2d20 game system, also seen in the Mutant Chronicles, Infinity, and John Carter RPGs, the Conan core rulebook will contain everything you need to play original characters in the Hyborian Age.